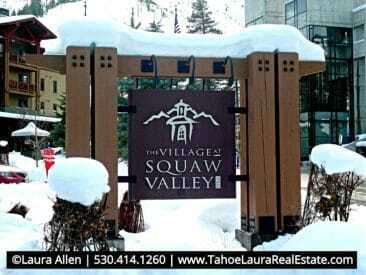 If you already own a condo at in the Village at Squaw Valley and want to know what your property is worth, call me 530.414.1260 for a confidential consultation. Each building has its’ own amenities. Each unit gets a ski locker. Lockers are not big enough for a bike, just skis, snow boards, snow shoes. Only four (4) studio units in the entire complex. All studio units are located in Building 5 | 1750 Village East Road. Four (4) Bedrooms, Living Room w/Fireplace, and 4.5 Bathrooms, (Size Varies +/- 2,347 sq. ft. to +/-3,076 sq. ft.) Only three (3) Penthouse units built in the complex and can have two levels. Note: Units can be a stand-alone, or a combination of several units. If you see more than one unit number, then there are multiple units and owners can use one unit, while still renting out the other unit(s). They can also have one large unit by just unlocking the adjoining doors between the units. Some units may have one Assessor Parcel Number (APN), but some multiple units may have multiple APN numbers depending on how they were originally sold by the developer. A few units (penthouse) have a washer/dryer in the unit, but almost all of the units do not have that appliance. Most units are single floor living, while the penthouse units can have two levels. Elevators are in all buildings, along with staircases. Most units have one (1) covered parking space. Some units may have two (2) spaces. Most likely, potential loan lenders will consider the Village at Squaw Valley as a “condo-hotel” and they may not have a loan program for this type of property. Buyers that may need a loan and do not have cash as an option should get pre-qualified with a “condo-hotel” lender as soon as possible. On-site Property Management – Vacation Rental Option for Owners, which is operated by a third party Squaw Valley Hospitality Vacation Rental Program and is located at 1750 Village East Road (Building 5) (lobby | check-in front desk) building 5. Owners are NOT required to be on the on-site Vacation Rental Program. Owners who remodel, or have a custom kitchen are not eligible for the on-site vacation rental program because of the inconsistent presentation on the room/unit. One HOA fee for the individual unit. The Master Planned HOA known as “Squaw Village Neighborhood Company” has a flat fee per unit. The fee for 2018 billed quarterly was $714/quarter, (or $238/monthly). This association takes care of all of the common areas in the Village, along with waste management (trash), snow removal, and liability insurance for the common areas, streetscape, underground parking, storm water management, and Village events. Phone and Internet can be purchased through Squaw Valley Hospitality at approximately +/-$62/month. There are two HOA groups The Village 22 Station Association (“22 Station”) and the First Ascent Owners Association (“First Ascent”). The difference is when the buildings were built first phase, and second phase. HOA Fees are determined by the size/floor plan of the unit. Here are some approximate HOA fees for 2019. Fees can vary based upon the final configuration and whether it is located in a 22 Station building (Buildings 4 & 5), or a First Ascent building (Buildings 1, 2, & 3). Buyers should always verify all information on the unit(s) they are considering. Maintenance in your unit – Furnishings. If something breaks in your unit, you are responsible for that repair. HOA Mandatory fees are a sliding scale that the HOA has developed. HOA Special Assessments: Owners had the option to participate in a voluntary recent refurbishment of their units. Owners paid between approximately $10,000 to $50,000 depending on their unit configuration to complete the upgrade. HOA Transfer Fee: Currently there is no HOA Transfer Fee ($0) when ownership changes. Vacation Rentals: Village condo owners should know that while there are no current restrictions on vacation rentals (agents cannot project future rules/regulations on rentals), owners that do rent out their units are responsible for the Transit Occupancy Tax of 10% plus the Squaw Valley Neighborhood Company Civic Fee of 2%, which is also charged on short term rentals(less than 30 day stay), for a total of 12% for vacation rentals. Owners can expect to pay about a 50% professional property management fee, which will include an actual breakdown for cleaning, management, marketing etc… The net to owner after rental expenses may vary. Gross Rental Income: Potential Rental Income will be impacted by how much an owner uses the unit, especially during peak demand times. Expect seasonality in demand and use by vacation renters. Consider the rental averages for the unit size you are considering as actual results will vary and past results are not a guarantee of future revenue. Want more information on what to consider if you are thinking about doing short-term rentals, click here. Owners on the rental program will have to pay a cleaning fee after each time they use their own units. The actual cleaning fee will vary depending on the size of the unit and how much work is needed to clean it – additional expense. Owners will have to pay for a phone land-line and Internet in the room – additional expense. Owners are periodically charged for new linens, and will need to keep the unit in top condition for vacation rentals (fund a refurbish and replacement account). You can check out the vacation rentals their website at: http://squawalpine.com/lodging/village-squaw-valley-lodging to learn more about how they market their properties. Need more help in trying to figure out your Village at Squaw Valley, Resort at Squaw Creek, or entire Squaw Valley area Condo buying options?